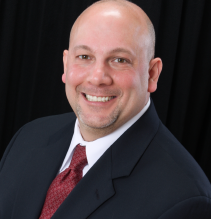 Dr. Stephen F. Amato has over 25 years of experience in the pharmaceutical, biotechnology and medical device industries. Prior to his position as Faculty Director of Graduate Regulatory Affairs and Life Sciences at Northeastern University, Steve was the Founder and Managing Director of tJun17 Life Sciences Advisors, LLC, and also a Managing Director for Cardinal Health Regulatory Sciences. Additionally, as an Executive with GfK Health, Dr. Amato managed and worked on client global regulatory affairs and reimbursement projects in the areas of market access, pricing, and payer coverage, coding and payment strategy. Prior to GfK Health, as an Executive Director at Anika Therapeutics, Steve managed all aspects of the company's product portfolio including regulatory, reimbursement, market segmentation, targeting, positioning, pricing and promotional strategies. From 2000 to 2007, he was the Group Director of Knee Repair at Smith & Nephew Endoscopy where he managed a $140M orthopedic product portfolio. Earlier in his career, Steve worked for Visible Genetics, where he was responsible for developing and launching genomic molecular diagnostics products used for subtyping Human Papilloma Virus (HPV) and other infectious disease agents. \He has also worked with Critical Therapeutics on the development and commercialization of treatments for gram-negative sepsis. Steve holds an AB in Biochemical Sciences from Harvard University, a Ph.D. in Molecular and Cellular Biology from Boston College’s Graduate School of Arts and Sciences, and an MBA from the Carroll School of Graduate Management at Boston College. He has also received the U.S. and EU Regulatory Affairs Certification designations and is a Consultant for the Regulatory Affairs Professional Society. Established global regulatory affairs/market access/HEOR professional whose mission is to lead the development of an efficient and globally competitive U.S. healthcare system based on 20+ years’ of life sciences industry and public service experience; Have consistently demonstrated expert-level proficiency in leading teams in diverse global markets to solve complex regulatory affairs/market access/reimbursement/coding/pricing associated challenges in the medical device/specialty pharmaceutical/combination product/companion dx/rare diseases space; Teams managed have consistent success in direct FDA/CMS/Medicaid/private payer/global regulatory body/payer interactions and negotiations, in securing state Medicaid coverage and in leveraging Type A/B/C FDA meetings; Life sciences industry experience includes leading productive team interactions with EU notified bodies, EMA, and direct collaboration with the Brazilian ANVISA, Japanese Ministry of Health, Labor and Welfare (MHLW) and Chinese FDA, as well as geographically specific payer assessment bodies (NICE, G-BA, IQWiG, HAS, CEPS) resulting in maximal penetration of healthcare products and services into Ex-US markets; am skilled in building alliances with diverse healthcare market stakeholders, including NGO’s, VC's and angel investors to raise capital, and in leading the evaluation, development & execution of global biomedical product regulatory and market access strategies; Healthcare product and associated services launches I have managed or supported in orthopedics/rare diseases/biologics/women’s health/oncology/infectious disease/molecular dx/biomarker spaces have generated over $7.75B in global revenue in inpatient/outpatient/home healthcare environments.